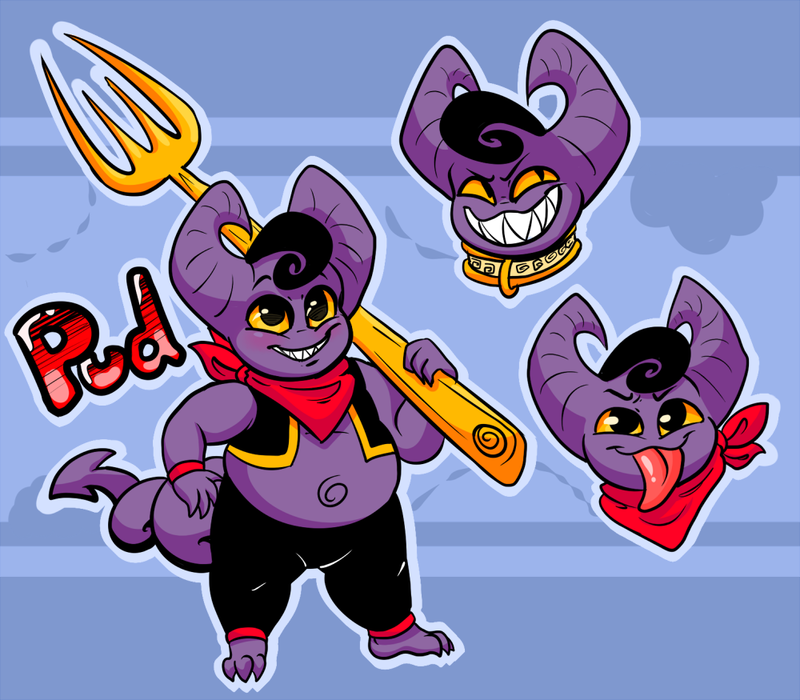 Pud is a demon who has just recently woken up in the Void world and is ready to start building up his power, by consuming life force. 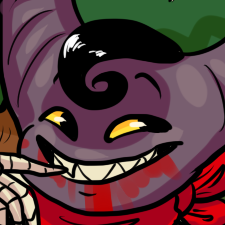 He is just a larval demon right now, small and not especially powerful, so he is always hungry and has to rely mostly on his weapon for protection. As he consumes more life force, he'll grow larger and stronger and begin to take the form of a more matured and monstrous creature. Intellect-wise, Pud isn't especially impressive, but he can still be sneaky at times. He's not one for talking much either, but he's still capable of it if he feels the need to use words. Getting what he wants is generally his main priority, and what he wants is usually to get a bite out of his opponent. After LSDT: Pud's physical form was destroyed and he is now stuck in the underworld, which he cannot leave without being summoned. He has reverted back to his smallest form.